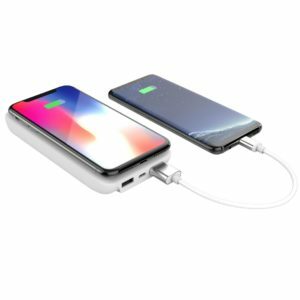 MyCharge always has some cool products that will help keep your devices juiced up. We’ve reviewed these in the past- such as these items for the Nintendo Switch and a portable power outlet. We’re glad to review some more products. One is the PowerDisk+. The other is the Unplugged 10K powerbank. Both will give you power for you QI enabled phones. This Qi charger is similar to many out there. It’s a wireless charger that delivers up to 10W of wireless output. 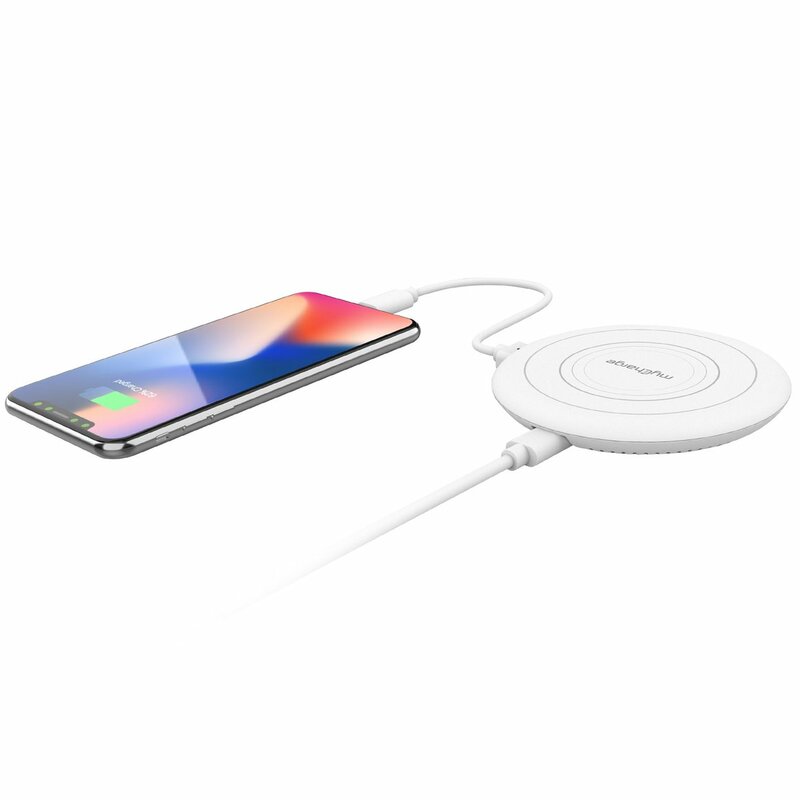 The Qualcomm 3.0 Quick Charge 18 watt adapter will charge up your phone quickly when you put it on the wireless charger. A bonus USB port is on the Disk, so you can even charge an additional phone or tablet at the same time. 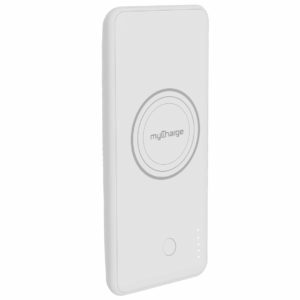 This item is available for $49.99 on the MyCharge website. This little gadget is also a Qi enabled charger. The difference is that this is a portable powerbank. It has 10,000 mAh capacity, so you can charge a phone about 4 to 5 times. It charges your Qi compatible device simply by placing it on top, but there are also two USB ports, so you could charge up to 3 at a time! This is definitely nice for people on the go with more than one device, or you can keep all that power to yourself. If you don’t need all that juice, you can buy smaller capacity ones for less money. The dimensions are 5.83 in x 0.8 in x 2.79 in, and it weighs only 0.4 lbs- which is light for a charger of this capacity. A small USB recharge cable and charger is included. For $69.99, you can buy this quality powerbank on MyCharge’s website. Thanks to MyCharge for sending us these products for the purpose of our reviews. No other compensation was received, and our reviews are fair and unbiased.